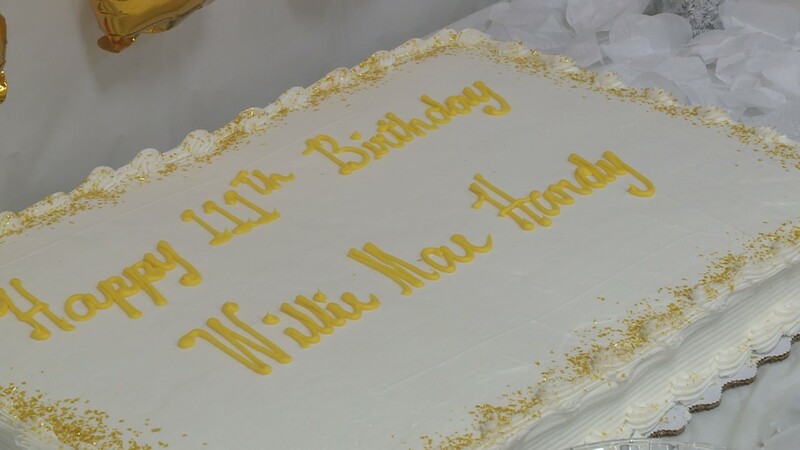 "Love everybody, treat people right," Willie Mae Hardy said at her birthday party. 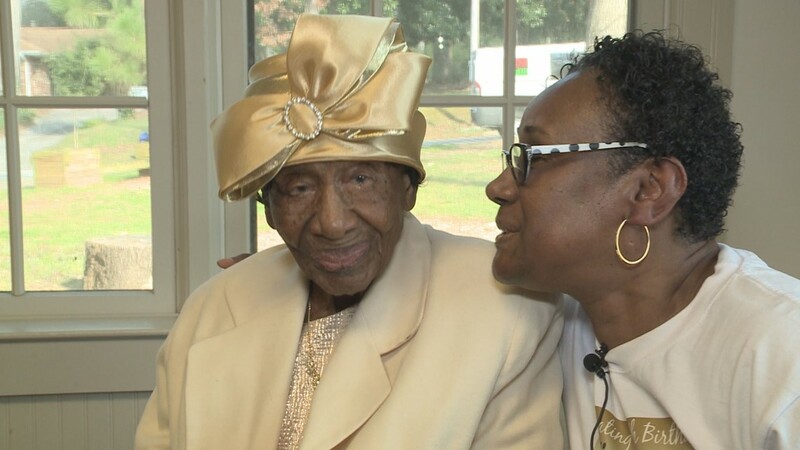 The granddaughter of a slave, Hardy was born on March 11, 1908 in Junction City, Georgia. 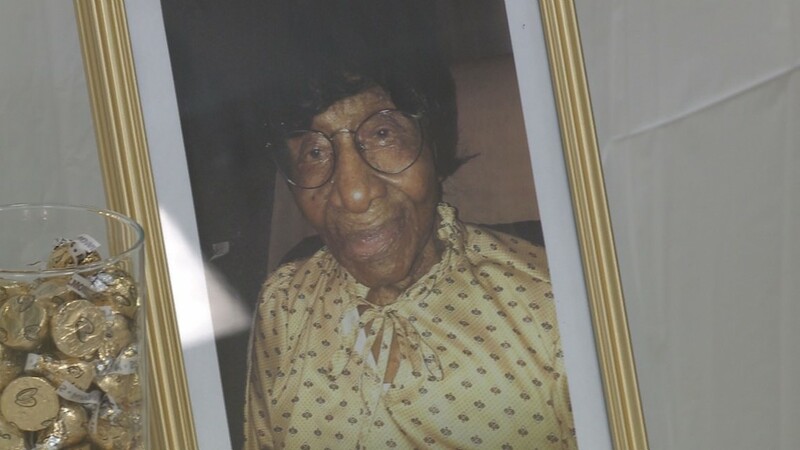 She has at least seven grandchildren, 10 great-grandchildren, 30 great-great grandchildren and four great-great-great grandchildren. 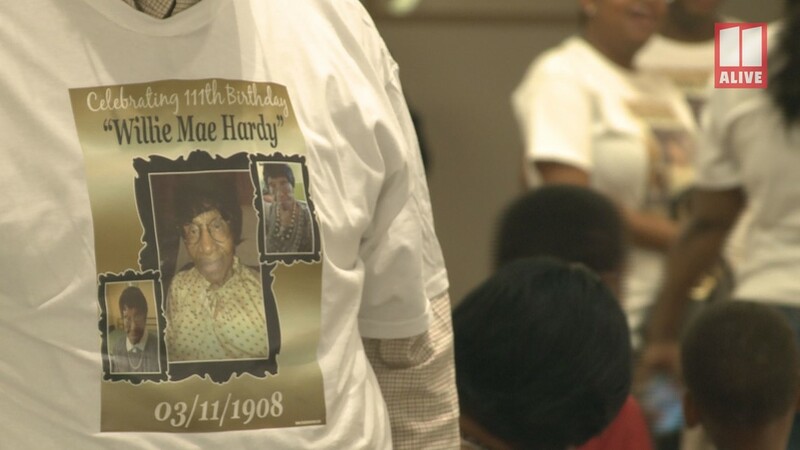 Partygoers at the Zaban Recreation Center in Atlanta wore T-shirts with her picture on it, celebrating their matriarch who is now 111 years-young. 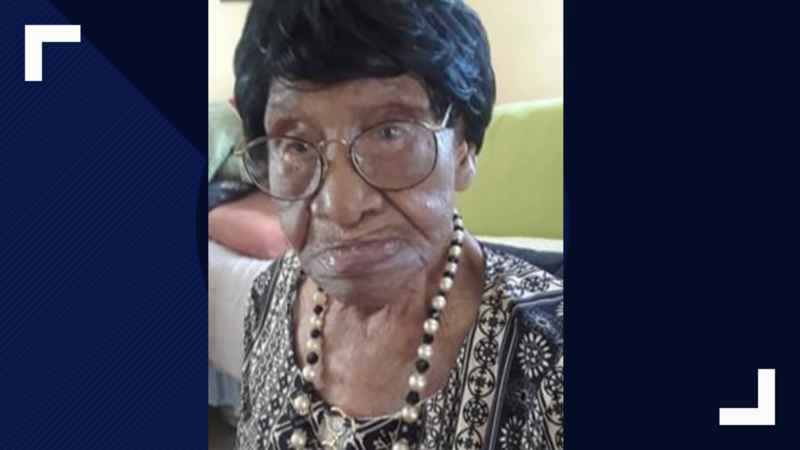 While she couldn’t hear too well, she had a few words to share for the secrets to a happy life. “Love everybody, treat people right,” she said. 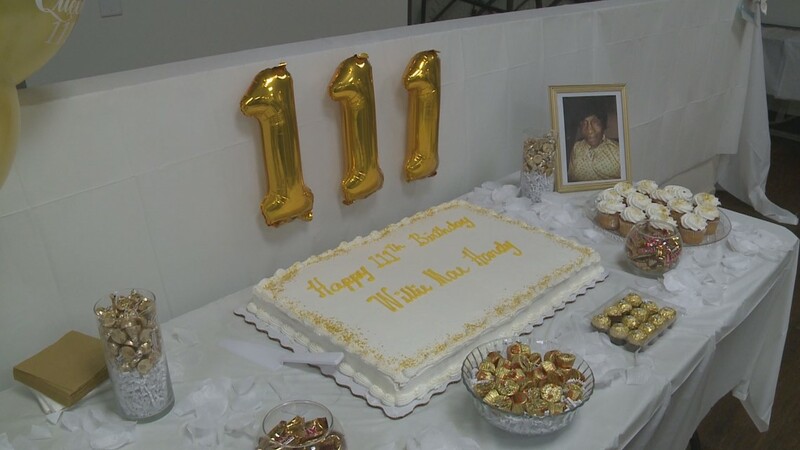 Wille Mae Hardy was born in 1908 and celebrated her 111th birthday in style, among family and friends at the Zaban Recreation Center in Atlanta. 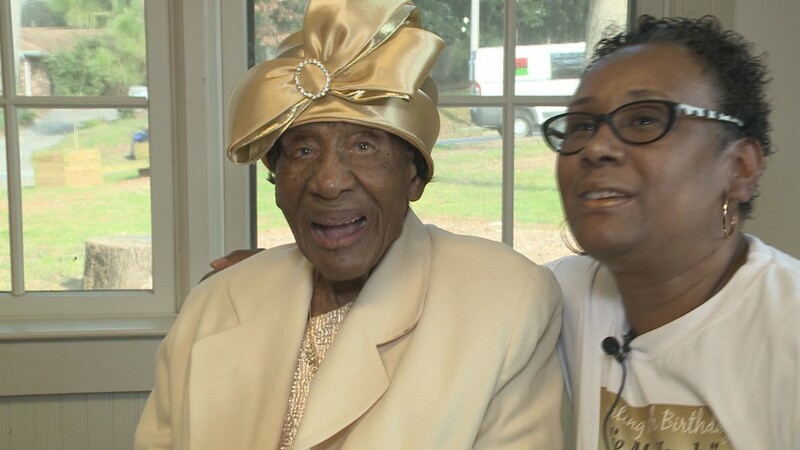 In 1925 she gave birth to her one and only child / daughter, Cassie Neil. 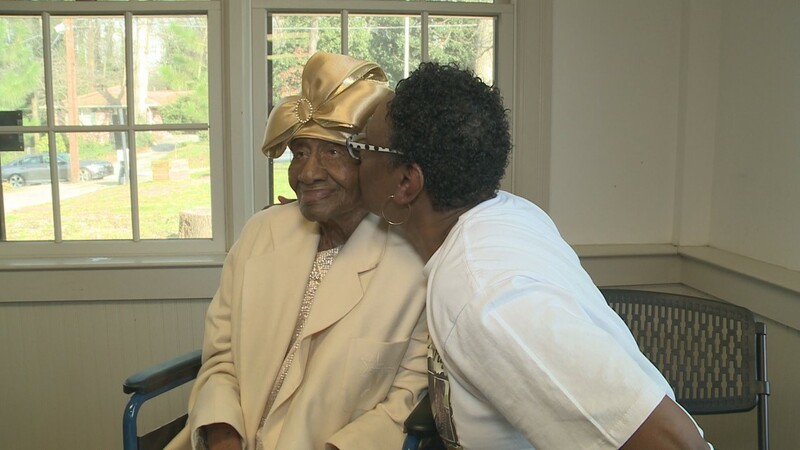 As a single mother, seeking for a better life for her and her daughter, Willie Mae, uprooted and moved to Atlanta in 1939. 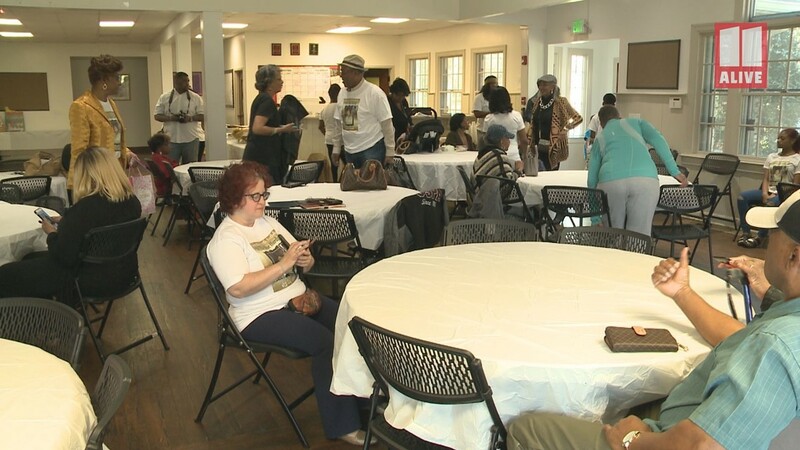 They would call home “Browns Ave”, a street in south Atlanta home for the next eleven years. 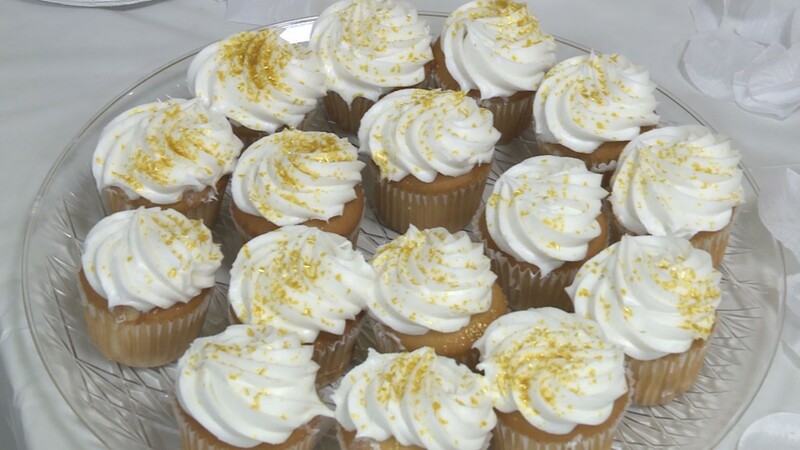 It would be here that Mrs.Hardy would meet and married the love of her life, Mr. Frank Hardy; he too has passed away. 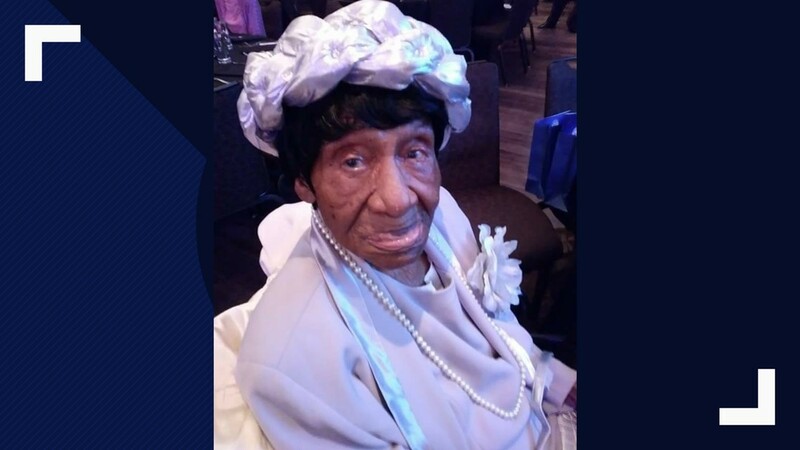 Once Mrs. Hardy relocated to Atlanta she remained true to her spiritual roots and joined Butler Street Baptist church in 1944, under the leadership of the late Rev. Barnett. 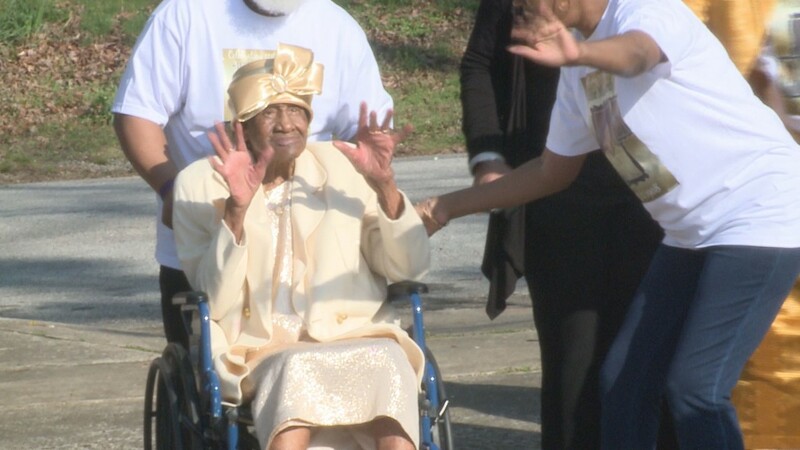 She has remained a faithful member for over 71 years, and currently is the oldest member of her church.